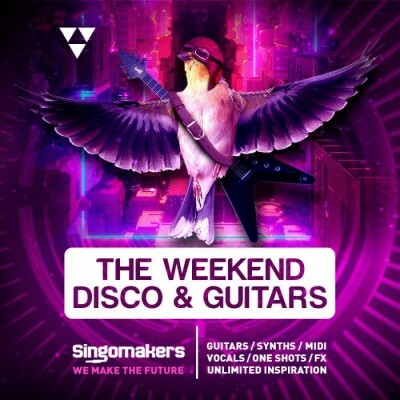 ‘The Weekend Disco & Guitars’ from Singomakers are back with a sample pack inspired by one of the brightest artists of 2017, The Weeknd. His solo tracks and collaborations with Daft Punk have been storming the charts all over the world. ‘The Weekend Disco & Guitars’ is suitable for House, Nu Disco, Funky House, Pop, Dance, Future House, Synth Pop, Progressive and includes awesome Royalty-Free guitars, vintage synths, catchy vocals, punchy drums and more.